Forget chick lit. 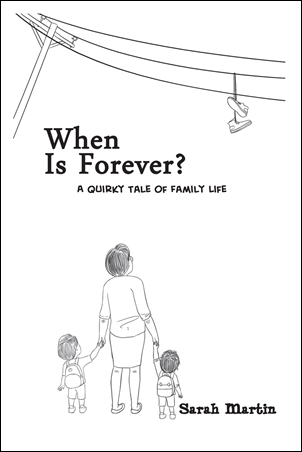 In this delightful, wry portrayal of life with young children, the pitfalls and pleasures of grandparenting are explored. Accommodating those young parents who were once one's children, and their children, while maintaining a sense of self, is a skill. These interlinked stories covering three years in the life of toddlers Jack and Serena and their extended family light up the pages. Each character is deftly drawn against the backdrop of everyday situations, and taps the nuances of relationships, sometimes painful, often joyful, and everything in between. Historian Sarah Martin of Melbourne, Australia, took time out from working on her Ph.D. to explore her creative muse. 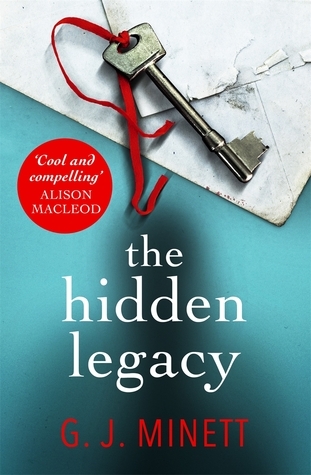 The result is this lighthearted fictional insight into middle-class suburban Australia, in which the voices of four generations come together in a subtle and textured comment on family life. Her biography of Davis McCaughey: A Life was published by UNSW Press Australia in 2012. Her history of the organisation Bush Heritage Australia and her first children's picture book A Galapagos Day will be published in 2016. She says, When my father died at the age of 99, he left his body to the School of Anatomy at the University of Melbourne. I had an interesting conversation with my daughter, who found it difficult to explain this concept to her three-year-old son. I started fiddling around with the kind of conversation that might ensue over the subject, and gradually the character Jack came into existence and spawned a whole cast of characters and events that eventually became When is Forever? This year has been a cocktail of travel for Pete and me, and coming home to Melbourne has been a strange kind of culture shock, partly because it is hard to remember whether we are now in summer, or winter. Just as it was getting cold in Melbourne, in May, we went to England to the start of summer. The reason for this trip was to help our daughter and her partner with their business, which is installing composting toilets at music festivals. This is the second year we have spent 6 weeks in Somerset, and we are starting to feel at home there, we meet the same people and enjoy the rural life in gorgeously green and fertile Somerset. We plan the trip to coincide with their busiest time, when they instal 1100 toilets at the iconic Glastonbury Festival. As they have two small kids our main job is baby sitting, but we have been roped in to help on site, and that is always fun, and often stressful. After our return in early July, back to winter, we packed our car for an 8 week camping trip across the top of Australia, which was the last field trip of research for my book on the history of Bush Heritage Australia, a philanthropic conservation organization, which will be launched in August 2016. Although it was winter, we had beautiful warm sunny days, and the nights were balmy, since we were now in the tropics. After three weeks on the road to get there, we arrived at the Garma festival, an Aboriginal based festival featuring fabulous dancing and singing in the afternoons after a long day of forums and discussions about aboriginal problems, which are extensive. We then continued west across Arnhem Land and visited several Aboriginal homelands before we crossed over into West Australia to meet another aboriginal group in the Kimberley region. My field trips have taken me to many remote places in Australia, and I have learnt so much about my country and the great unknown places, and I feel enormous pride in our varied landscapes, and greatly privileged to have had the chance to explore Australia in this way. On our return, we had a month at home, in which time I finished writing the book, before we took off for a brief visit to India, where winter is settling in. We started in Calcutta, travelling to Darjeeling in the foothills of the Himalayas and then across to Nagaland for the fabulous Hornbill festival, in which 18 clans performed traditional tribal dances and songs, all dressed in their colourful tribal costumes. It was a fascinating experience, and coming home to Melbourne, I found I missed the vibrant energy that is all around you in India. So much life is played out in the streets, in a gloriously colourful and unselfconscious way, and suddenly Melbourne feels empty and lacking in vitality. It is my third visit to India, and I always feel that I have never seen quite enough, and I know that I will want to go back again. I like going back to places where I have spent time, repeat visits encourage a familiarity that helps you gain greater insights into the culture and the way of life. 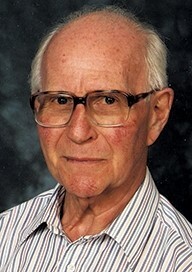 Author Wallace Peters is a renowned medical scientist in his 80s whose main interest is tropical medicine. In 2007, he and his Swiss wife, Ruth, moved into a peaceful retirement village in the English countryside. Nine months later Ruth succumbed to cancer. After Ruth’s death, Wallace came to learn that the 200 residents in the community had a wide range of backgrounds. He realized that many of them, irrespective of their former careers, struggled to find a direction in their lives. Some, learning of the author’s own career, asked to hear more. Hoping to restore their interest in their own existences, Wallace set out to describe his and Ruth’s experience of their own lives post-retirement and their positive lifestyle. Four Passions: Conversations with Myself is a frank account, describing the psychological pitfalls that many couples encounter after one or both are obliged to “retire”. In today’s world, an ever-increasing number of us will face an unprecedentedly long period of seniority. This story offers an optimistic perspective on the pleasures of “old age”. What really inspires people to write? For whom do we exert the mental energy that this demands? Do we want to take readers into a fictional world, or share with them something of our own life experiences, or those of others? "Last week I entered my 87th year, a nostalgic occasion." On any clear morning at precisely three minutes to eight I gaze from my small bed through the tall window facing South across our large lawn, with its backdrop of trees like an open-air theatre. I see, about five miles off and at an elevraion of about 45 degrees, an airplane heading from the West as the pilot makes his prefinal turn towards its scheduled landing at the nearby airport. Today was no exception. Time to turn on the computer, shake off sleep, shave, wash, reluctantly perform the exercises imposed on me by my physiotherapist, then brace myself for the day. Lone breakfast, daily tablet to keep prostate under control, collect newspaper, make coffee and start the day's crossword. On a dark morning I risk oversleeping. It was not always thus – only yesterday, or so it seems, the coffee and breakfast would have been for Ruth, my raison d' étre for over 50 years. Now I have committed my memories of her to paper. "Conversations with myself - the first 85 years" sits on the desk of a lady in New York who will try to persuade a publisher that what I have written will resonate in the minds of other people in the later years of their lives. Ruth and I passed an unusual and peripatetic life together – some would call it adventurous. Perhaps it is true that sentiments shared, especially painful memories, can help to bring some measure of solace even at time to a complete stranger who reads of them. Since I posted that first blog, nearly six years have passed. Much in my life has changed, but not everything. Once again, as on 8th April 2010, I opened my eyes early in the morning to see from my bed a plane passing from West to East across the sky towards its landing at the nearby airport. The aircraft was probably not the same but the flight schedule appeared unchanged, unlike everything else in my life. During the first two intervening years I composed my autobiography. The decision to undertake this task was motivated originally as a form of catharsis for the trauma of losing Ruth, my wife for over 43 years and her cremation on Christmas eve, 2007. Over time I found it necessary to include an account of our individual and joint lives. By late 2011 I had succeeded in finalising this story and having it accepted for production by a publisher, Strategic Publishing and Rights Co, (now known as SBPRA ) based in Houston, Texas. 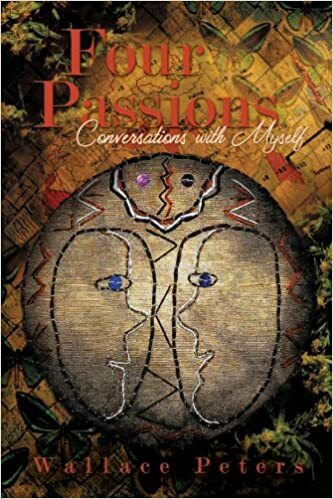 I proudly announced in a blog that I posted on October 6th 2011 that Four passions: conversations with myself (henceforth referred to for convenience as 4P) was on its way. To my disappointment, but not surprise, the book's initial launching was not met by a mad rush to the book sellers. However, as I had hoped, it slowly came to the attention of at least some of the potential people to whom it was primarily directed, middle and elderly readers such as myself. 4P began to receive positive comments from a number of appreciative reviewers (none of whom were my family or friends !). In the light of the exponentially increasing, numerical expansion in numbers of retired, English language readers in today's world, SBPRA made the decision to reissue 4P and to extend its availability through a number of major distributors and new contemporary formats. 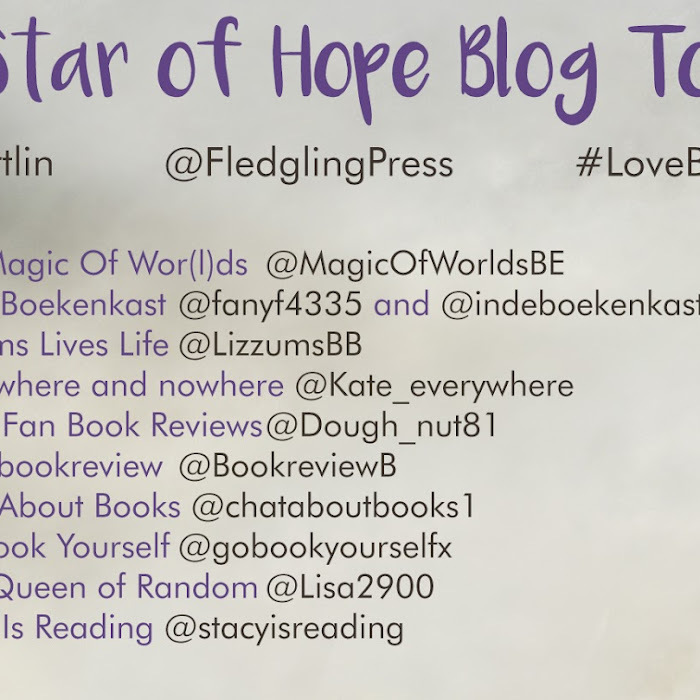 My personal hope is that the thoughts I have expressed will resonate with some of you. Wallace Peters grew up in London and currently resides at Castle Village Retirement Home, near Berkhamsted, Hertfordshire. He has written three books on medical and entomological topics; was a senior author (with two different co-authors) of six editions (since 1977) of Atlas of Tropical Medicine and Parasitology; co-editor of four books on malaria and leishmaniasis; the author of forty-three book chapters; and sole or joint author of over three hundred and forty papers. 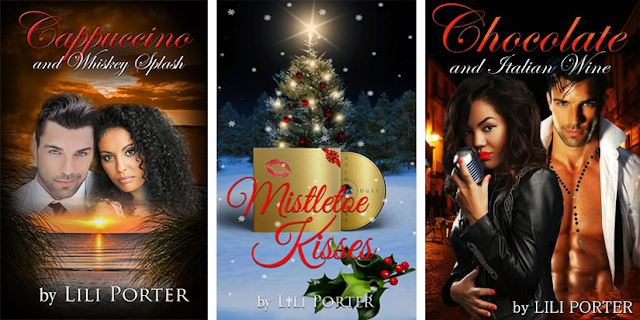 I am so happy and excited to have completed three novels this past year. Writing a novel is not an easy task, and I doubt any author would say the opposite. Weaving together a story gets complicated, and most of those who start, give up somewhere along the way. I could easily have been one of those. But I was determined to finish what I started, something I drum into the heads of my three kids almost on a daily basis. I wrote everyday. For hours and hours. Until a few days ago, I was still writing, putting the finishing touches on a novel I began over a year ago. My husband started to wonder whether the light from the laptop had put a spell on me. He just didn’t realize that I needed time to figure out what my main characters would do, or how I could further torture my villain. Sometimes, I would write the same thing over and over again until it felt right. It took a long time for me to do. It was exhausting! I didn’t have the luxury of writing all day. I still had to work a full time job outside of the home. So the characters from my book went right along with me. Have you ever heard a writer say that her characters talked to her? Not in the way of actually hearing voices, (I guess), or anything like that, but there is constant chatter going on in the head and it’s all from the people the writer has created. During those times, I make sure to listen. They talk a lot. I take good notes. They always end up in the book. Now there have been a few times when my characters have stopped talking to me. They stopped telling me what they would do and how they would do it. Fortunately, though, when I’ve had a bout of writer’s block, it hasn’t lasted long. Not yet, anyway. Right now, I’m full of ideas. 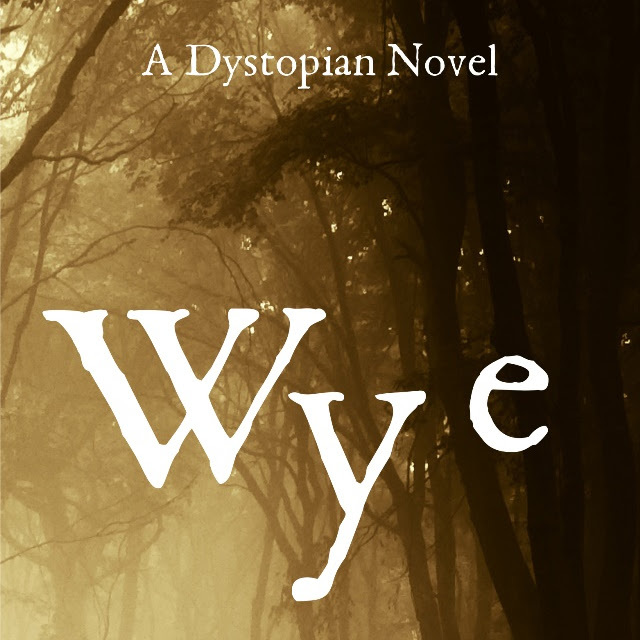 But when I was unable to come up with anything a while back, I took a break from my writing until my characters took up residence in my head again. It didn’t take long for me to get back into the swing of things. Anyway, even though the last word is written, I know I’m not done. I’m always eagerly moving on to the next idea, the next characters, the next story. But even with that, it’s hard to let go of the characters you’ve carried with you for so long. That’s why I decided to turn my Chocolate and Italian Wine into a series. I just couldn’t let go. Joy. Peace. Fear. Death. Hope. To many, these are just emotions, facial expressions or words that are evoked in the face of numerous situations. However, there are a select few in the galaxy that have the power to wield them into something more. Into a weapon. Into a personification of their inner being. Damien is one such person. 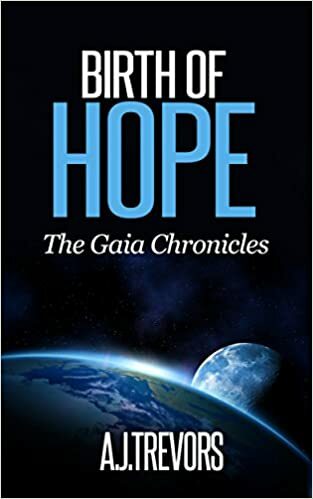 With the Spectre Hope, he will shoulder the hopes of the galaxy as he strikes out on an epic adventure that will bring readers to all four corners of the planet, Gaia. From the peaks of Mount Cygnus to the sand-blasted plains of the Tahiba Dessert, Damien and his group of friends will try to find a way to end the war with the merciless Vangarians and unlock the secrets hidden within the depths of their hearts. Recently divorced and with two young children, Ellen Sutherland is up to her elbows in professional and personal stress. When she's invited to travel all the way to Cheltenham to hear the content of an old woman's will, she's far from convinced the journey will be worthwhile. But when she arrives, the news is astounding. Eudora Nash has left Ellen a beautiful cottage worth an amount of money that could turn her life around. There's just one problem - Ellen has never even heard of Eudora Nash. Five dead women in fifteen months. Each of their bodies—discovered by hikers in Vantage Woods in the small town of Lyons, Ohio—suffered a single but fatal gunshot to the head. But there are no shell casings at the scenes. There are no fingerprints, no evidence, no suspects. Detective Lacey Mills doesn’t know where to turn. 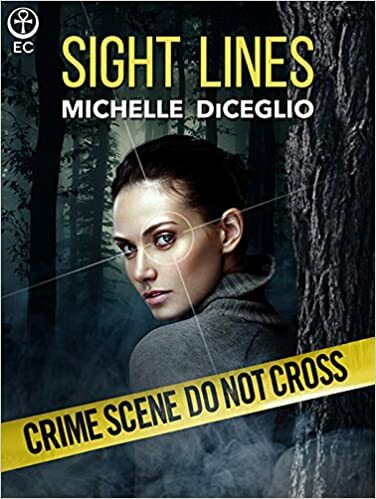 In the course of her investigation, she meets Alison Rhodes, a captivating woman who went on a date with the most recent victim less than 48 hours before her demise. As the murders become more intense, so do Lacey’s feelings for Alison, along with her suspicion that Ali may be more than just a potential witness. When it appears that Ali could be the killer’s next target, Lacey puts everything at risk—including her own life—to protect her. But it’s what she eventually uncovers about Ali that might truly kill her. 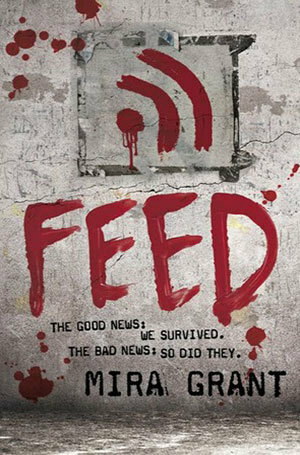 The infection spread, virus blocks taking over bodies and minds with one, unstoppable command: FEED. Now, twenty years after the Rising, bloggers Georgia and Shaun Mason are on the trail of the biggest story of their lives - the dark conspiracy behind the infected.